It is an unforgettable piece of real estate. 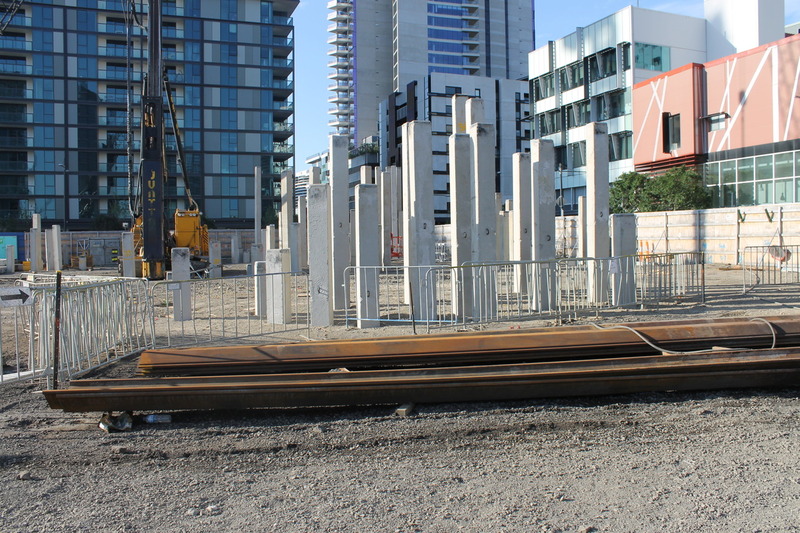 At the historic meeting point of Collins and Bourke streets, Lend Lease is developing its most ambitious residential tower yet in Melbourne’s ­Docklands. The $350 million project proposed has an auspicious street address: 888 Collins Street. Memorable in anyone’s language, it is especially lucky in ­Chinese culture. Almost 180 years after Bourke and Collins streets were first laid parallel on the Hoddle Grid, the two major thoroughfares traversing Melbourne’s CBD finally intersect in Victoria Harbour, Lend Lease’s patch of Dockland. Market appetite for inner city apartments has prompted Lend Lease to expedite plans for the new corner site. A 40-storey building is proposed, with views over Victoria Harbour on one flank and the Yarra River on the other. As the tallest tower in the Victoria Harbour precinct, it is hoped 888 Collins Street will become a Docklands landmark and a substantial “book end” for Bourke and Collins streets. “The design of the building has really taken into account the significance of the location and makes the most of the prominent corner site,” state manager of apartments for Victoria, Ben Coughlan, said. The project comprises a 15-storey triangular building, holding the corner in front of the taller 40-storey tower. There is nearly 36,000 square metres of residential space, with 587 one, two and three bedroom apartments, along with a small component of ground-level retail. Prices will range from $398,000 through to $1.2 million. If the project is approved, Lend Lease hopes to begin construction in November this year, with completion in February 2017. I really liked the Rothe Lowman design. Hopefully the full building is a bit more interesting, looks exactly the same as 35 Spring from that view.. I was hoping that Roth Lowman design was going to be the one we get, fantastic podium on that proposal. ^^ Lend Lease are certainly increasing the pace in VH. With the Batman's Hill project also on the horizon for them, they will be busy. 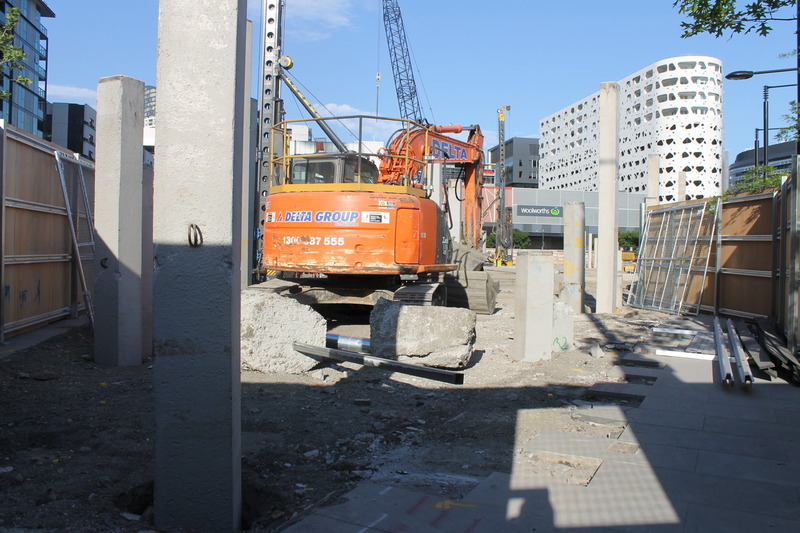 Still no podium renders though for 888 Collins, which is a pity. Not bad by any means, but a bit unimaginative i think.. They might advertise a 'landmark' but it doesn't look like one. 125m for the 40-storey tower + 52.6m for the 15-storey tower. Database listing updated. Interesting that the treatment of the facade of the taller building optically shrinks its height and vice-versa, the treatment of the shorter building makes it look taller than it is. I'm not a fan of this proposal. Just seems like a wasted opportunity, especially on the corner. A bit lazy and a missed chance at really making a statement on that prime spot. Lend Lease has overhauled plans for its $350 million apartment project in Docklands after receiving a scathing judgement from the City of Melbourne’s lord mayor. I'm glad they took notice of what the Lord Mayor said. I also felt that their original proposal was mundane to say the least! I'd imagine it will just be a change to floor plans as the MCC are particularly upset about the 'flexi' rooms that have no natural light. >> Lend Lease has overhauled plans for its $350 million apartment project in Docklands after receiving a scathing judgement from the City of Melbourne’s lord mayor. The original proposal included small rooms – identified as “flexi rooms” as they were designed for multiple uses – which drew lord mayor Robert Doyle’s attention for not having windows. Cr Doyle told the council’s Future Melbourne meeting in July that as some rooms did not have direct access to ventilation or natural light, they were not rooms, they were cupboards. >> If approved, Lend Lease hopes to begin construction before the end of this year. The project will meet at the end of two of the CBD’s most prominent streets: Bourke and Collins. The number eight is considered lucky in Chinese culture and the project’s 888 Collins Street address stands out in a market awash with new inner-city apartment projects. Walked past last night, piling has begun already. Corner of Collins and Bourke Streets, if any address is crying out for an iconic building, this is it! The MCC or State Government should have taken control of this site, held an architectural competition for a mixed use building, built it and then sold it on. ...But no, we let stupid political ideology get in the way and we are left with a private developer who at the end of the day has to turn a profit and lets this be the only driving force for this development it seems. Who remembers the Times Square concept proposed for this intersection in the early stages of Docklands? 888 Collins from FloodSlicer on Vimeo.